Happy New years everyone! I hope everyone had a safe and fun time! I finally was able relax because it was so cold, I was forced to stay in and cuddle with family and watch movies.. how horrible I know! 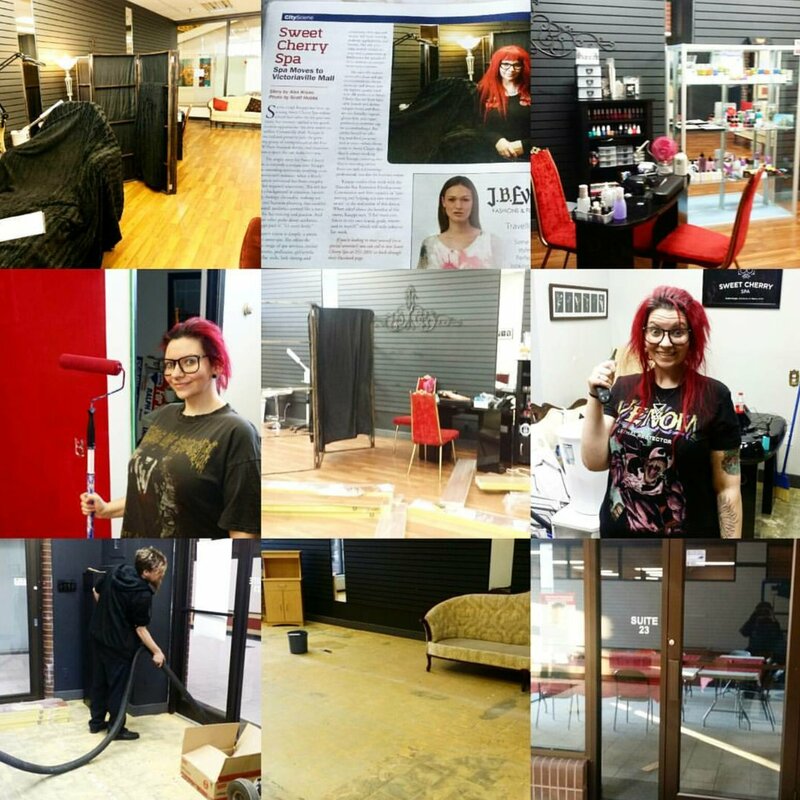 2017 was crazy amazing for me: I started my year off moving into the new shop in downtown Fort William in Victoriaville mall. This has been such a awesome expansion and I love you all for your support. With the move came hiring staff and getting my coop student, Troy, Shae, Nadine and Jess! Some of you have been short lived other with me longer but I have to give my biggest thanks to Troy! He has helped me move in, set up, get everything together, been my great assistant of learning my way of answering the phones, doing laundry, setting up for clients and has great customer service! He even bares going out into the cold for me to get supplies from the store! 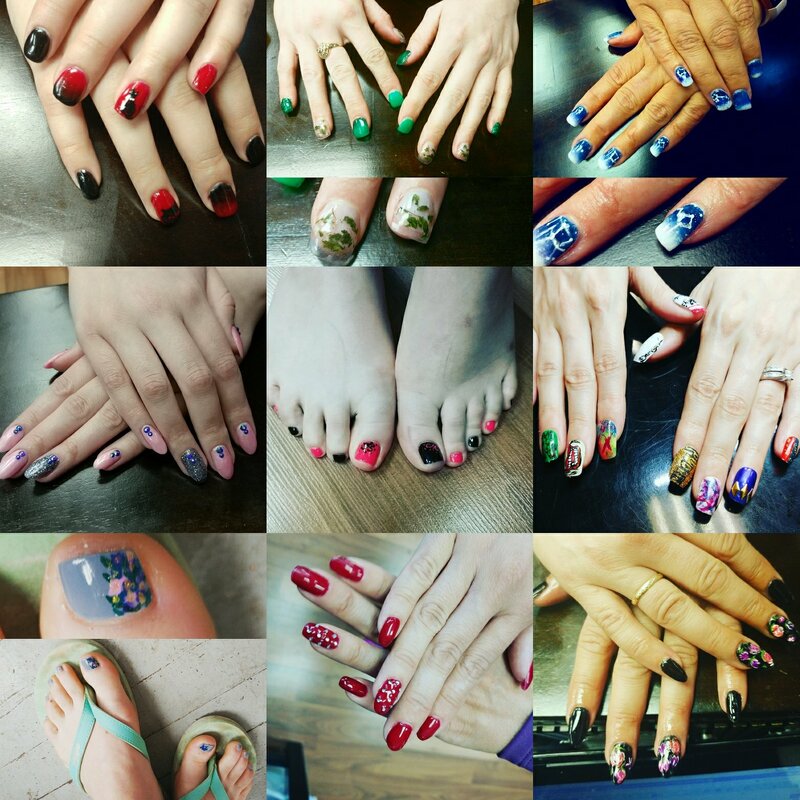 My nail art game in watercolour and protrait was pushed to awesome levels thanks to all your requests. I was also awarded top 3 nail salons in Thunder Bay. I was able to work on 2 films this year Mercy and another that is still in post production and hasn’t been released yet. I was able to do my yearly workshop at Thundercon, this year I premade half a prosthetic and then live demonstrated how to do the rest. You can watch the live demo here. I worked on a beautiful set with acrobats with Apple wagon productions, styling the scene 1920’s. Westfort Productions and I have now teamed up as well for marketing campaigns for Tbaytel and McKellar Confectionery. I was invited to speak at the HUB’s Lunch and Learn for small business talking about my experience in applying for grants and opening my own small business (this one 😛 ). Also spoke at Confederation College’s film students about makeup artistry and DIY special effects. 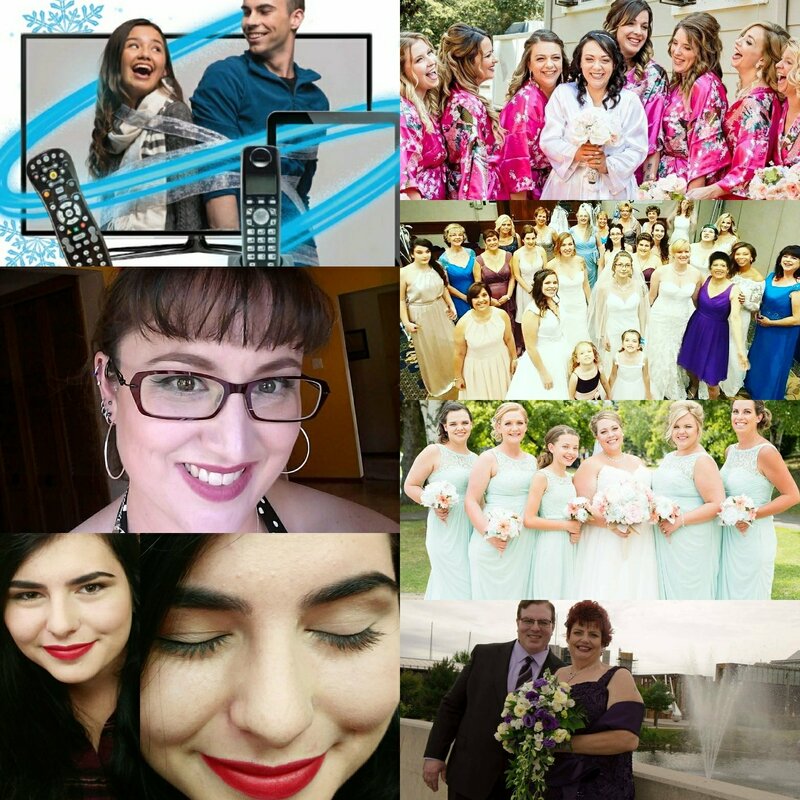 I was the busiest year so far with weddings! Irma’s Bridal was awesome in getting me to do all the makeup for their fashion show at the Fall Wedding show. Once again I helped Katie of Silver Cedar Studios rock out her runway fur fashions for Derelict. Lea from Eating Dirt and I did more awesome and fun photo shoots, goth girls, grim and reapers. Scott Hobbs photography and I got messy with a gallon of blood and also did a lot of fun boudoir, theater and family shoots. Alot of people at the Thunder Pride Parade were happy, scared and confused by me and Veronkia’s Babadok. As well I was able to do Portia’s makeup again and talk to young teens and drag queens about makeup with Paloma Marquez. 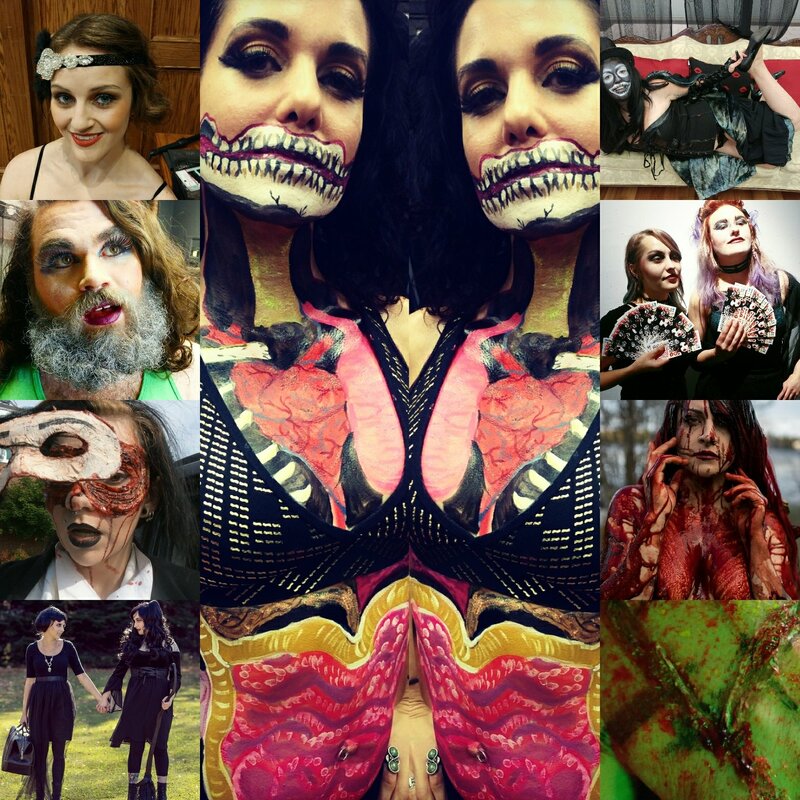 Halloween is always big for me and this year my biggest was a anatomy cartoon body paint along with another fully booked halloween weekend full of scary and awesome costumes. Thank you guys again for bringing me all your amazing weddings, fashion, costumes, nails, skin care needs, lashes and more!!! Lets create some more sweetness in 2018!